Got them Fri-yay feels? Us too! Know who esle does? Brisbane's best bars! Whether you're looking for a low-key spot to hang your hat with your bestie and a few glasses of vino, or up for a late night sampling some of Brisbane's finest espresso martinis—maybe you just want a solid whiskey on the rocks—this town has got your weekend on lock. To help you find your (merry) way, here are six brilliant Brisbane bars to whet your appetite. The Valley’s Savile Row is a go-to for your evening needs. With mahogany wood, dim light fixtures and a moody interior, Savile’s provides a more, how do you say, sophisticated experience when it comes to dining and drinking. The bartenders are able to offer the perfect pick-me-up to suit your mood, which comprises a selection of their 450 whiskies, 52 gins, 50 rums and tequilas. But, if you just can’t maintain that long distance relationship with your Shiraz at home, Savile has not forgotten you. Fifteen reds, whites,10 champagnes and six craft beers are also available. After all, tequila does have the tendency to bring back some, er, bad memories. 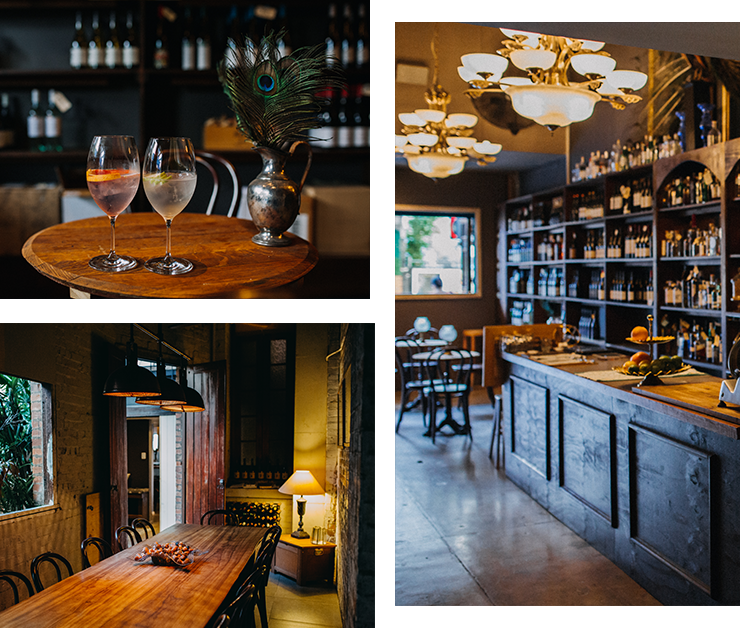 Proud Henry; chic venue known for its small-batch gins and stellar wine (seriously, name a more iconic duo). And its not only what’s in the venue, but behind the bar that makes it memorable. With more than 80 varieties of gin, gin tasting, and new gin replenishing the bar shelves every week, Henry’s really are who to turn to when you’re feeling a little spirit-less. They’re kind of a big deal. Long gone are the days of the Latrobe Terrace snackbar and tobacconist—King Tea is the new kid on the block. Perfect for a group gathering or intimate couple date-night, King Tea is a spacious venue home to classic tapas, seafood and charcuterie. Oh, and did we mention the elaborate Spanish wine, beer and cocktail selections? See you there, amigos. Look who just rocked up to the corner of Montague and Kurilpa Street this April? If you like your gastropubs, this ones for you. Lovingly nicknamed, ‘The Monty’, this classic eatery is home to a diverse menu with anything from home-style to superfood dishes. Ranging from burgers, beer-battered pickles and slow-cooked meats from the charcoal rotisserie, Monty’s is a hard one to beat. The flamin’ what?! This venue is, as the name suggests, one of the hottest live music venue’s to hit the CBD. Open Monday through to Sunday, The Flamin Galah is the perfect spot to kick back pre or post gigs. With a selection of classic street food and a fully stocked bar, we think you’ve gotta check this one out. After all, you’re never too old for live music! If you liked what came of Proud Henry’s then listen up. Darren Davis, the beauty behind the madness of Henry’s has now opened up Baedeker, a swanky new wine bar located in the Valley. Davis has done all the hard work for you, importing a selection of fine international wines to adorn his bar shelves. Cheese and charcuterie will also infiltrate the menu. Who can say no to cheese and wine? Need even more bar-spiration? Check out our picks here!